Both of these were received sometime around 1997. I knew there was more that I had written, but I couldn’t find it. Last night I found it and am now posting it now. Since I received this in 1997, I did not know much about being multidimensional yet, so I speak in terms of “Soul” rather than “higher dimensional self.” I will keep it that way, so that you, the reader, can see my process of remembering. Dear Ones, I am IlliaEm. Since a portion of your consciousness is in the Violet Flame, which is sixth dimensional and beyond, I wish to share with you some information about the sixth dimension. Within the sixth dimension there are waves of possibility that look like sine waves in space. These sine waves move through the sixth dimension in an undulating fashion like waves in the ocean. The sine waves are in layers, and each layer represents a different dimensional version of the same reality. All the dimensions are represented so that your Soul can choose the octave of the reality that you “the Incarnated One” are experiencing. Therefore, the sixth dimension holds the blueprint of all the possible realities in the lower planes. For example, let us say that in your reality you have begun a new job. If the resonance of your consciousness is extremely low, you will likely choose a position that is “out of sync” with your Soul and be bound by the needs of your ego. Because of this choice, you will likely suffer the low level, human “fear for survival” and you may well experience competition with the others in your workplace, as well as insecurity and anxiety. This reality will proceed in a difficult and burdensome manner. If, on the other hand, you enter a new job and your resonance is very high, you will more likely choose a position in which you have the greatest opportunity for success because it resonates with your Soul. You will easily get along with your co-workers and be able to feel a sense of community and camaraderie. If you live only from your ego and have no connection to your Soul, it is “normal” to live the illusions and lies of your society. Even though you are “out of sync” with your Soul, you may, indeed, find great success as you have little connection to your higher consciousness. However, if you are receiving this message, it is unlikely that you are that person. You are here in the Violet Flame because you wish to expand your spiritual life and seek guidance from your Soul. If you can use this time in the Flame to surrender to your Soul, you will form a partnership in which you and your Soul can together create the reality that you desired before you took embodiment. Just as your ego may go to your Soul to gain guidance, your Soul can go to the sixth dimensional realm to gain guidance too. 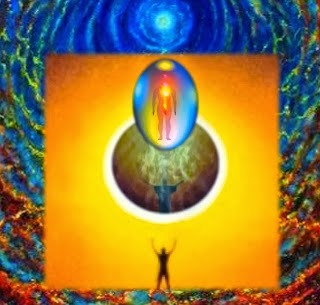 If your third dimensional consciousness is awake to its Soul during this encounter, you will be rewarded with a great lesson regarding your true creative powers. Nonetheless, it may take a long Earth-time to fully comprehend that lesson with your third dimensional mind, as it has great difficulty understanding the sixth dimension. In order for you to understand this sixth dimensional reality, you must surrender to the thinking of your fifth dimensional Soul/SELF. If you surrender to your Soul/SELF, and in turn, your Soul/SELF surrenders to the sixth dimension, you will float together, ego and Soul, upon the sixth dimensional Waves of Possibilities. These Points of Connection are access areas where you can enter any of your possible realities. When a Point of Connection resonates to your heart, you can enter that reality by allowing your heart to engage with the Point of Connection. Once you are engaged with a Point of Connection, you will follow that reality for as long as it matches your resonance. If your resonance raises or lowers, you will become disengaged from that reality and float along the Waves of Potential until you find another Point of Connection to match your new resonance. Your third dimensional Self will not experience any passage of time between these realities because the sixth dimension is not bound by time or space. The sixth dimension exists only in the HERE and NOW of the higher worlds. For that reason, your third dimensional world may appear seamless. However, upon this “disengagement” you may experience a sense of grief in your physical world, because you have just disconnected from the reality in which you once resonated. When a “good” experience ends because you have lowered your resonance, or even because you have raised your resonance and outgrown that experience, it is natural to grieve the loss of that reality. When programs of limitation are released there is often great fear, because those old programs provided structure and order. The structure and order is vital to navigate the third dimensional world. The fear arising from the loss of this structure can then create doubt as to whether or not you will be able to proceed. This doubt can then lead to grief due to the loss of the perceived safety provided by the old, familiar limitations. You may even choose to re-engage with the programs of limitation rather than face the fear of the unknown. Are you ready now to create a reality where the structure of limitation is not needed? Do not fear or worry that your destiny will not be fulfilled. Be patient, for patience allows your deepest subconscious Self “time” to sprout, and gradually blossom, in your physical world. Each “life” is a point of perspective into third dimensional reality. Use the visions of the Violet Flame to see how each of your many incarnations is a shining ball of Light. Some Lights shine very bright and some shine very dimly. These balls of Light encircle Lady Gaia and have roots that run deep into the core of Her Being. Your Soul can look through each of these “points of Light” to experience each physical incarnation in a different fashion. As you communicate with me, IlliaEM you can share my resonance. Eventually, you will learn to associate with me so deeply that I can share with you the vision of my realities. This, however, is a long process and one which should not be rushed, or you will not be able to keep your life force within your clay form. Be patient, and allow me to teach you how to make the gradual ascent through all the higher levels of your SELF. There are many mysteries that I can reveal to you. First, I will reveal how to Program your Personal Hologram. There is a message that we have been sending to our Grounded Ones in their night bodies. This message, like other higher dimensional messages, is in pictures. 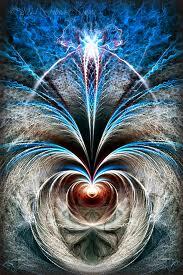 One picture we have sent you all is the lovely form of higher dimensional Beings. By “step-down transformer” we mean that you are among the Grounded Ones who receive the frequencies of the higher dimensions into your consciousness. Then, you gradually integrate those higher vibration into the resonate frequency of the third dimension. In other words, you are “human transducers” who willingly download higher frequencies into yourselves and into your reality. Your service is greatly appreciated. While in the sixth dimensional Violet Flame, you have direct access to the control panel for the hologram of your third dimensional Earth reality. I will now assist you in programming your personal hologram. See the Waves of Possibility before you, and allow your heart to merge with the Point of Connection to which you presently resonate. This is easily done while in the sixth dimensional vibration of the Violet Flame. Allow your heart to pull you into that Point of Connection. You now find yourself in an area that you would probably call a “room.” Do you see the large view screen in front of your? Look into it and see the portion of your Earth reality that you wish to re-program. How do you wish to re-program it? It may be helpful if you write down what you wish to re-program, and how you wish to change it. Once you write something down, you have made it physically manifest – you have made it a part of your physical reality. Below the screen are the controls for your personal hologram. See the keyboard before you. There are numbers and symbols on it, which your physical Self may not understand. That does not matter because you will encrypt your message, not with technology, but with mental and spiritual power. As you look at the control panel, feel the desired reality, which you wish to program. Do not be concerned about limiting yourself because I AM here with you, and I AM able to see the unlimited version of the reality, which you desire. Look at the control panel before you. View carefully the area of your life which you wish to re-program. Take a moment to feel any fear or anxiety that may be attached to that area of your life. Are you ready to delete this fear from your hologram? Good, now see the fear portions of the program and highlight them in yellow. Allow all the fear to come up in this life experience so that you don’t miss any of it. See page after page of yellow highlighted programming. Now, take three final breaths so that you are sure to release all the fear. This fear is like a computer virus that disrupts your operational system in many unknown ways. Are you surprised to realize how much fear you have encrypted into your hologram? The physical world is, indeed, filled with fear. Now find the delete button. It has become raised on the panel because you have willed it so. Take a long moment to be completely honest with your Self. Can you release your old friend Fear? Fear has served as your teacher during the lessons about life you will confront in a third dimensional reality. Fear and pain have forced you to learn from the mistakes you have made. The fear and pain of a negative situation have forced you to avoid negative situations. Are you ready to release that manner of learning and take the responsibility of learning through Love – love of yourself and love of the lessons that YOU have created? With your consciousness, press the delete button, and watch as all the yellow highlighted programming disappears. “I AM the CREATOR of my hologram. Repeat this mantra over and over to keep this new program intact. Fear has been a major component of ALL your third dimensional realities. For that reason, fear is deeply ingrained in your cellular memory. Be patient with your Self and constant with your mantra. You will likely have to repeat this re-programming many times, and repeatedly say your mantra before you can ground this new hologram in your physical form. Without fear, clear perception of the higher dimensions is possible and constant. Please remember that YOU are the beautiful Beings that you see in your dreams. Remember these visions of your Higher SELVES. It is the fourth dimensional “flow” of your dream world that allows you to connect – through your fifth dimensional SELF – with the sixth dimension. The appearance of your true form is like the Beings in your dream memories. They are the blueprints of the humanoid form. 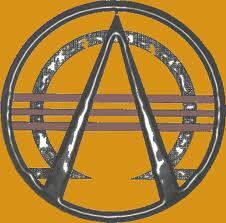 In fifth dimensional worlds, such as Venus and Alycone, where persons hold humanoid forms, they follow that blueprint. dimension. The sixth dimension is the control center for your personal hologram. Therefore, if you wish to make adjustments to your hologram, you will move your consciousness into the sixth dimension. Once the blueprint is changed, or a new one is created, you can connect it to the crystalline labyrinth systems in the fifth dimension where the blueprint is crystallized into form. It is very important that you hold mastery over the fourth dimension because the astral waves of emotion, if uncontrolled, will make it impossible to manifest that form on the third dimension. You have deleted fear from your THIRD dimensional hologram. Hold the intention that the vortex will remain open. In this manner, you can return to the sixth dimension whenever you wish to make further corrections to your hologram.